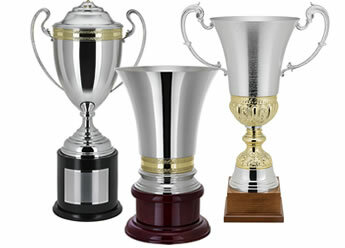 Nickel, silver or gold plated trophy cups with bakelite or wood bases. 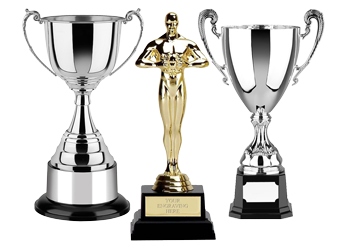 Silver plated trophy cups with wood or bakelite bases, plus figurine awards. Fine quality trophies suitable as awards for professional sports and elite achievement. When only the very best will do! Handcrafted trophies to grace the finest presentations. Size matters! 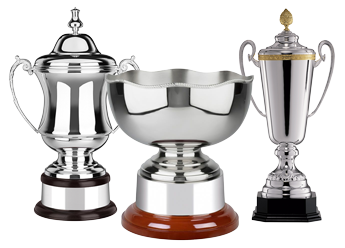 Some of the largest and/or widest quality silver trophies available on the market. 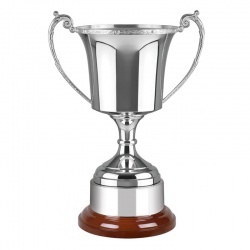 Our collections of classic silver trophies and awards include an extensive range of affordable awards in our Economy Trophies category and a choice selection of mid-priced classic trophies in our Quality Silver Trophies section. 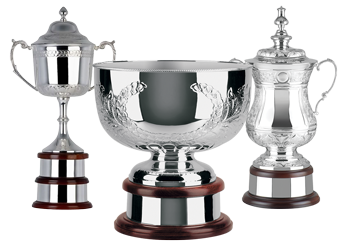 For customers seeking prestige and fine quality trophies, suitable for professional sports awards, our Premium Silver Trophies collection contains some of the finest awards available on the market. And for the pinnacle of achievement, our select range of Masterpiece Trophies features truly sumptuous awards and trophies. 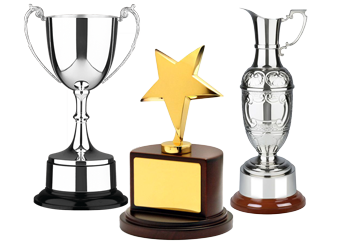 All our silver trophies and awards are offered with low, fixed-cost text engraving, free logo engraving and fixed price UK delivery.